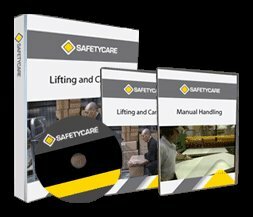 Workplace Safety Blog | Safetycare | Safety Training Videos | Free Safety Pictures and Resources: Join the Safety Training Video Revolution; Montie! Join the Safety Training Video Revolution; Montie! Please view the Montie promo below to see just how flexible Montie is! On renewal each year a new disc will be provided with any updates and new releases. Videos are high resolution Windows Media Video files that play with DVD quality on a laptop, computer monitor, or via data projection. Videos can be played directly from the DVD Rom. Videos can be copied to and used from a computer's hard drive. Videos can be loaded onto a server. Montie can easily be configured to cater for 'off site' or 'remote location' users. CLICK HERE TO BUY MONTIE! !